"Exciting, Beautiful and Different" is the way customers describe the jewelry at Dorothy's charming Sayville store. Dorothy's offers custom designing, a full service repair shop and expert appraisals as she is GIA Certified. Getting Married...When it comes to the Bride and Groom Dorothy gives special attention to their needs, wants and wishes. 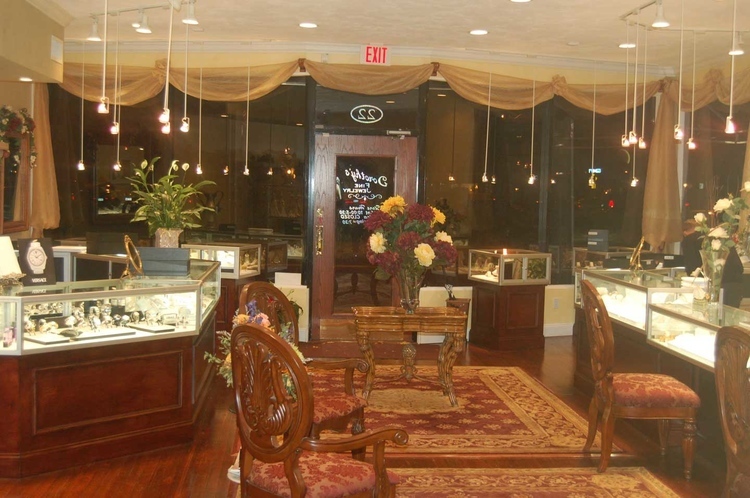 The shop also offers jewelry inspection and cleaning of jewelry which is always free."